The 36th ACS Northeast Regional Meeting (NERM) leads off the fall season of ACS Regional Meetings. 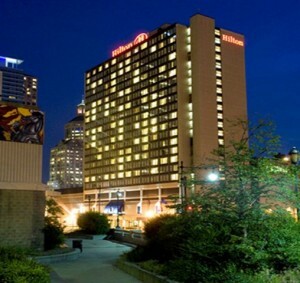 Hosted by the Connecticut Valley Section, NERM will be held at the Hilton Hartford Hotel and Conference Center, October 7-10, 2009, just as the leaves are turning. Abstracts and advance registration are now open – you can find links to both on the NERM web site. In addition to a strong technical program, NERM offers an exciting program for high school chemistry teachers and middle school science teachers, including sessions on forensics, polymers, biofuels, alternative energy, lab safety, demonstrations, and more. Attendees will be able to earn CEUs. Programming for students includes workshops on careers and job search and a graduate school fair. Also, NERM is soliciting nominations for regional awards in the areas of high school chemistry, volunteerism, achievements in chemistry, and industrial innovation. Visit the NERM web site for more details about the awards, and to nominate a worthy member of your local section! Check the ACS Regional Meetings web site for links to online registration and the web sites for all the fall meetings, and don’t miss the upcoming editions of ACS Matters, which will preview each of the fall ACS Regional Meetings in detail!